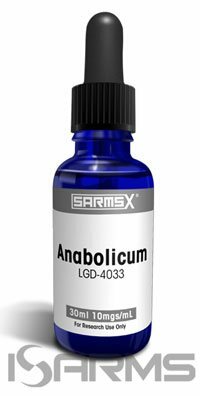 LGD-4033 (anabolicum) is the strongest in its class selective androgen receptor modulator (SARM). 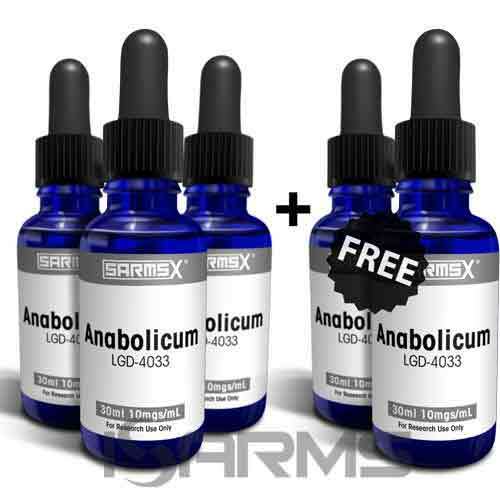 As a matter of fact, it is one of the newest SARMs that have come out, and is the closest SARM that can be equated to an anabolic steroid when it comes to pure strength. Hence, it is the strongest SARM mg for mg in terms of the mass you can put on. LGD-4033 was created recently to cure acute and chronic muscle wasting diseases, cancer, and age related muscle loss. Therefore, just like in the case of anabolic steroids, LGD was initially created for medical purposes, and only after were its benefits for athletic performance popularized. Anabolicum works by binding to androgen receptors selectively, meaning that it creates anabolic activity only in bones and muscles, instead of harming prostate and sebaceous glands, like anabolic steroids do. In fact, volunteer human studies have shown that LGD 4033 was harmless when used with a dose under 22 milligrams (mg) per day. Furthermore, studies also showed that LGD enhances lean muscle mass and decreases body fat; all of which comes with an incredible ability to boost strength, recovery and overall health. LGD-4033, like all SARMs, was mainly designed for muscle wasting prevention. Nevertheless, it also has the ability to help fight cancer, and help older individuals maintain strength and muscle. 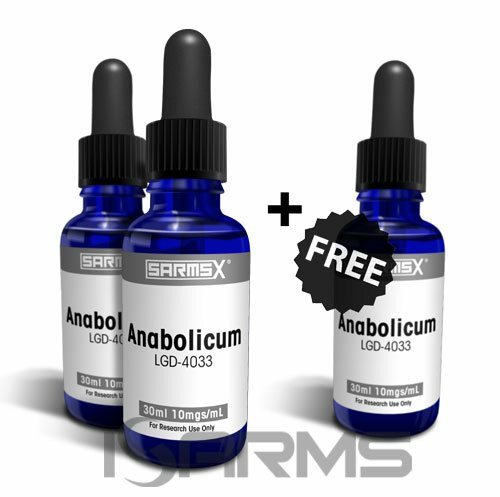 As mentioned above, LGD4033 is the most potent SARM in its class and the closest one to anabolic steroids. 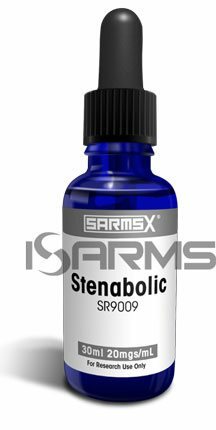 However, it comes without the harsh side effects and severe suppression of anabolic androgenic steroids (AAS). Therefore, athletes who compete in strength sports (American football, field sports, rugby, hockey, and weightlifting) will appreciate LGD the most. What’s more, powerlifters love LGD because of its rapid strength improvements – typically, when dosing at only 10mg per day for under 8 weeks they will see noticeable improvements to their lifts across the board. Interestingly, although not known for its healing properties, LGD does not tear up the soft tissues like anabolic steroids, but rather keeps them strong because of its ability to bind to receptors in bones. Thus, just like with all SARMs, there is plenty of versatility with LGD, which can be run solo, or stacked with other SARMS and/or anabolic steroids. As a result, the athlete has many different options depending on their goals. There are a few ways to stack LGD-4033, with each of them offering a different set of benefits to the athlete. 1. Bulking: LGD is the best SARM in its class when it comes to bulking, and 10mg per day for 8 weeks will be plenty as a solo run. However, some experienced athletes will go as high as 15 or 20mg per day. During a bulking cycle with LGD it is essential to make sure to up your calories and weight train at least 3-4 times per week. 2. Fat loss: A good cutting stack would be combining LGD at 5mg per day with the average doses of S4 andarine and GW cardarine. Using LGD by itself is not recommended for cutting, since it has to work in synergy with other SARMs for this purpose. 3. 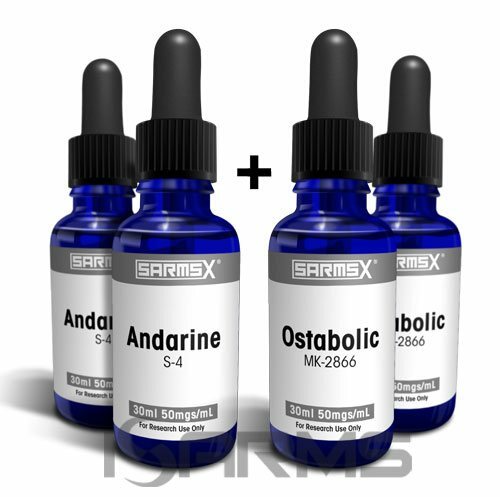 Anabolic steroid stack: LGD can be stacked as part of your anabolic steroid cycle to add lean muscle gains and strength without additional side effects. For this, you can add anywhere between 3 and 15mg per day of LGD into your steroid cycle. 4. Recomping: Recomping is done by those looking to add lean muscle mass and burn body fat at the same time. LGD is very good at this when ran in conjunction with cardarine, a strict diet, cardio and weight training. 5. 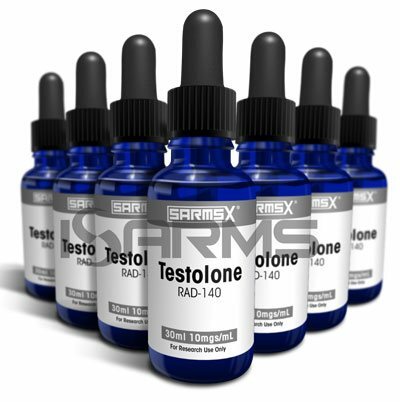 SARMs bridge stack: LGD is popularly used in a bridge with S4 to help mantain gains and strength in between steroid cycles. Run 3-5mg per day of LGD, and a moderate dose of S4 along with HCGenerate ES. LGD should not be used during post cycle therapy (PCT). Of all the main SARMs available in the bodybuilding world, LGD-4033 is likely the strongest and the most suppressive. Nevertheless, it is obviously not even close to being as suppressive as anabolic steroids are. Hence, a thorough post cycle therapy is advised after running LGD. LGD is non toxic, so there is no need to worry about liver issues, and it will not strain your lipids or organs like anabolic steroids either. However, keep in mind that if LGD is used as part of your anabolic steroid stack, it is highly recommended you use a support supplement like N2Guard – do not think that LGD will reverse the harsh side effects of anabolic steroids because it will merely not make their sides worse. The half life of LGD4033 is quite long compared to other SARMs – between 26 and 38 hours. LGD is extremely potent, so a small dose is all that is necessary – the average dose is 10mg per day, and length of cycle is typically 8 weeks. Nonetheless, the dosage range is subject to users discretion, going as low as 2mg per day and up to 20mg. Regarding the adequate use of LGD in liquid form, it should be swallowed – simply squirt the liquid into the mouth, swallow immediately, then chase down with some juice or water as the taste can be unpleasant. It is not necessary to hold SARMs under the tongue, and you should never mix them in a cup with other liquids. Currently, LGD can be legally obtained as a research chemical in liquid form, typically through online research companies. Since there are no regulations on these products, it is very easy to put out underdosed and fake liquids, as the user would have a hard time testing them for potency. Hence, it is crucial you only purchase your SARMs from a trusted place.